Hot tip: head downstairs to the Downtown Bar for live jazz and blues in a 165-year old larder. 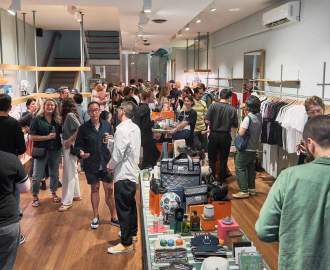 In the midst of Darlinghurst's shoulder to shoulder apartments, congested streets and endless noise, The Commons acts as the voice of reason. Relax. Slow Down. Enjoy Yourself. The heritage building has been kept intact, with sandstone lining the walls and exposed brickwork taking a peek. 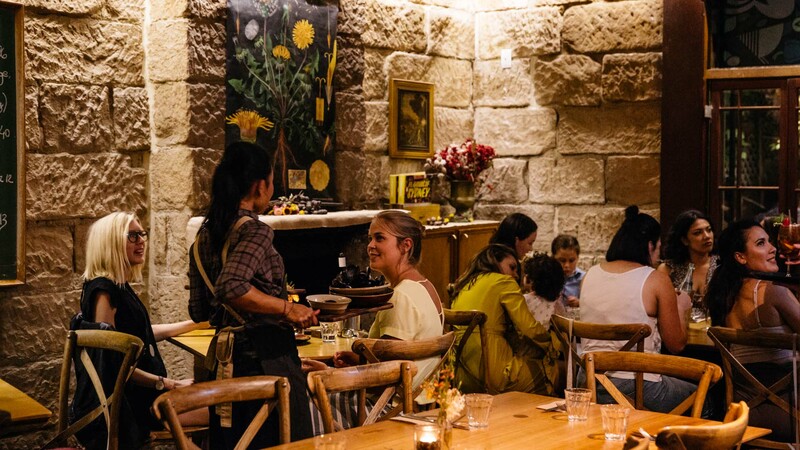 Long, communal wooden tables line the main dining room, while a trot downstairs reveals a cosy little bar with magazines, books and, if you're lucky, a jazz trio plucking out the tunes. The whole place is dusted in an amber glow, candles and low lighting dotting the place. There's a real warmth to The Commons, like stepping into your grandmother's kitchen for a good feed. The place lights up the most at night and really comes to the fore in the winter, with the fire roaring and a bit of scotch or wine to warm the belly. The Commons' food philosophy is about local produce. The menu changes seasonally, and the waiters will happy rattle off where each bit of food on your plate is from should you ask. The cuisine itself is a rich mix of smart comfort foods with a little bit extra kicked in – think Chicken Parmigiana with Leg Ham, Confit Cherry Tomatoes and Fresh Mozzarella, or Kola Sticky Beef Short Ribs. If you're with a group though, the best bet is to order off the Farmhouse Menu: a 3-course taste of the season, with everything shared. Hot plates of hearty delights are brought to the table one by one in sweet succession. Not hungry? The place will happily house a considerable drinking session with its array of liquors and cocktails. Otherwise, duck in for a quick breakfast or lunch. The Commons is a warm oasis for those seeking respite from the constant drone of the day to day.